The death of an offshore rig worker who was crushed by an electrical panel was accidental, an inquest concluded. Tyron Jones, 43, from Lowestoft, died on 5 December 2016 at the Norfolk and Norwich University Hospital after the 1,400kg panel toppled on to him. He was working on a gas platform in the north sea, about 70 miles (110km) off the coast, at the time. Perenco, the company which operates the platform, said steps had been taken to prevent a similar incident. The inquest at the Norfolk Coroner's Court in Norwich heard Mr Jones and two other men were unpacking heavy equipment when the incident happened. Duncan Adamson, from Perenco, said the company had already made improvements to avoid a similar incident in the future following a Health and Safety Executive investigation. 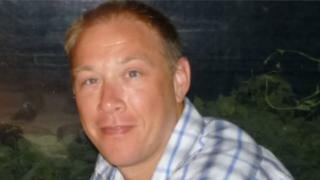 During the three-day inquest, it was heard Mr Jones was "extremely thorough and experienced". Perenco team leader Martin Francis told the jury the company had a "complex system of risk assessment". He said a piece of heavy electrical equipment "was not screwed into its crate and the authorised order of tasks was not followed" prior to Mr Jones' death.